AKKA Technologies has been working for 30 years with industry and service sector companies in their quest for innovation and improved productivity. Its philosophy? To listen to its clients in order to understand fully (fully understand) their problems (often linked to their quest for improved productivity and the need to adapt to economic globalisation) and to offer appropriate and innovative solutions. AKKA Technologies has developed with two key aims: to offer a strong service, in order both to provide our clients with innovative solutions and to pursue the passion which drives us. Listening to its clients at all times enables it to have a better understanding of their problems, which are very often linked to their quest for improved productivity and the need to adapt to economic globalisation. It can thus respond better to their expectations and offer them new solutions, appropriate to their needs. AKKA Technologies pursues a policy of balanced growth, both organic and through acquisition, deploying its strategy on an international scale – particularly in Germany – and thus ensuring its longevity and keeping it more than ever at the centre of tomorrow’s technology. 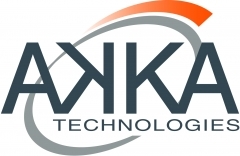 AKKA Technologies’ main resource are the men and women who make up the group. In order to make the most of their talents, AKKA Technologies is supported by strong values: respect, ambition and courage. AKKA Technologies supports the ten principles of the Global Compact with respect to human rights, labour, environment and anti-corruption fully in coherence with our values. Within our "Communication On Progress", our practical actions, outcomes and objectives are available to all stakeholders and to the general public. Respect, ambition, courage: values which should enable the Group to perceive and overcome cultural differences, leading to greater mutual understanding. They are an inextricable part of the business project AKKA Technologies hopes to steer to success, particularly its international expansion. The way in which AKKA Technologies is organised enables it to attract talent. Inspired by a passion for technology, the teams are in perfect harmony with the company culture and its values. With an average age of 33, the AKKA Technologies teams are both young and experienced. They all have the benefit of a management close at hand to identify the expectations, potential and career path of each individual. Its presence in different sectors, multiple areas of expertise, geographical spread and programmes devoted to training, mobility or promotion enable the Group to respond to the teams’ development wishes.